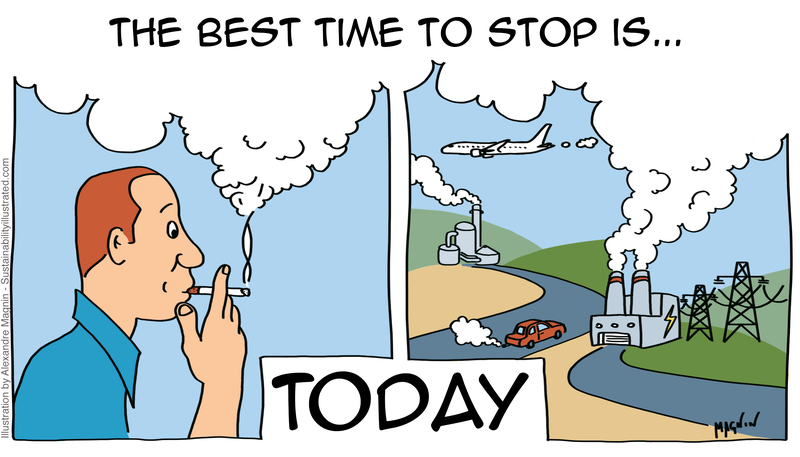 The longer we smoke, the more irreparable damage to our lungs. The more emissions we create, the more greenhouse gases we produce and the more irreparable damage. We need to stop today. If not today, then tomorrow… The sonner, the better. This cartoon was inspired from the work of climate scientist Katharine Hayhoe. You can check out her Youtube channel Global Weirding for interesting videos on the science and communication of climate change.